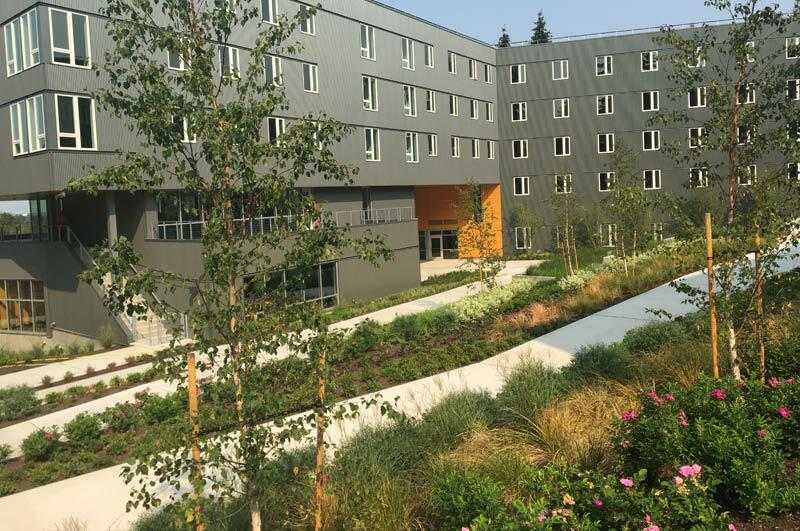 The layout of the residence hall and student hub buildings weaves together the new development with the existing fabric of open spaces and pedestrian circulation — creating improved connections to athletic centers and recreational areas. 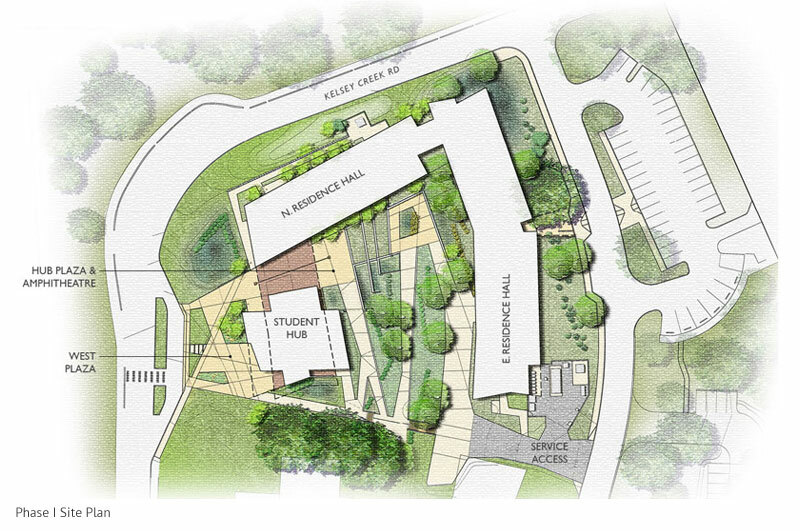 A mosaic of pedestrian pathways and interior courtyards defines the space between buildings north to south, while east-west stairways provide connections to other parts of campus. 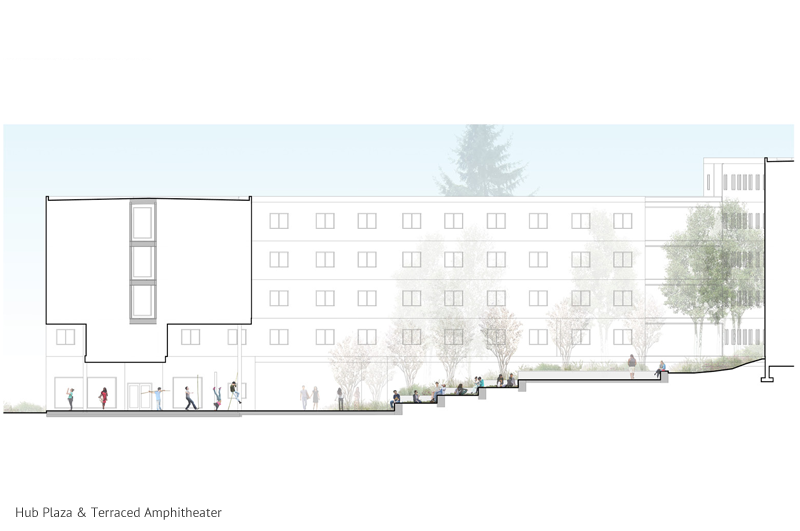 Buses and service vehicles will access the complex on the east side, working with the college’s goal of making Kelsey Creek Road a ‘complete street’ that prioritizes the pedestrian. 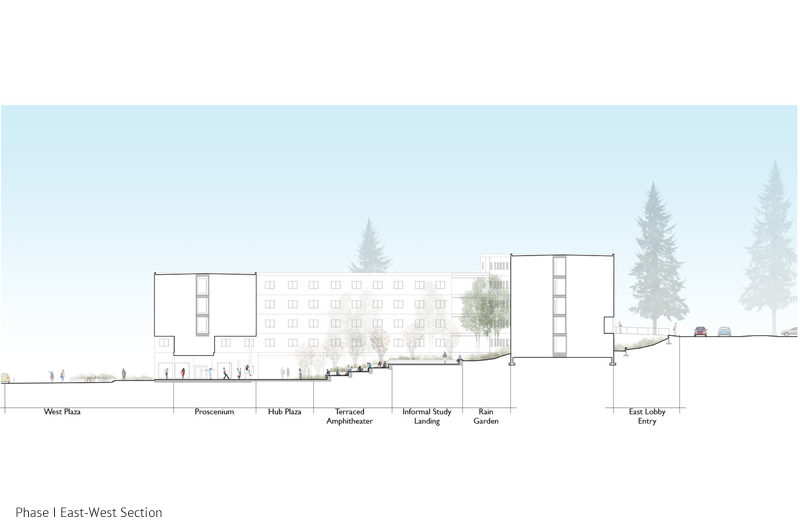 The landscape design for Phase I of this project sets an important precedent for future campus growth, with a site plan that emphasizes universal accessibility, and provides a variety of outdoor amenity spaces that take advantage of view corridors. 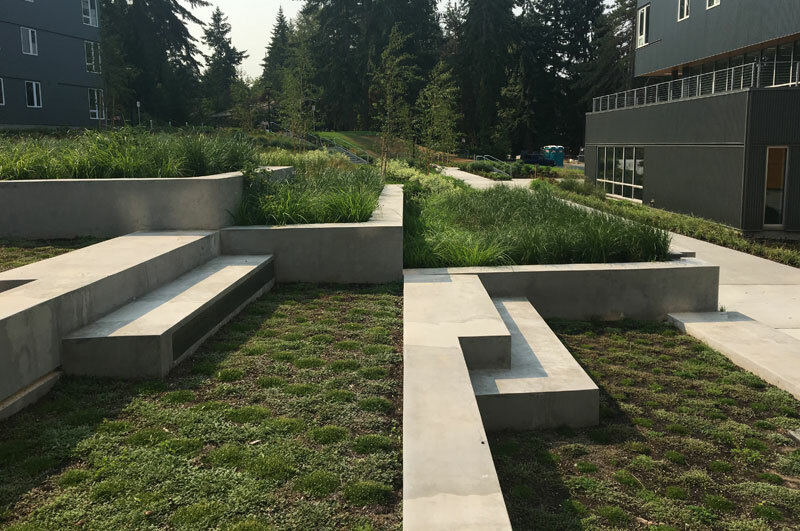 Outdoor spaces vary in size and function to incorporate all aspects of student life, including: independent and small group study, places for assembly and performance, and spaces to relax and socialize between classes. 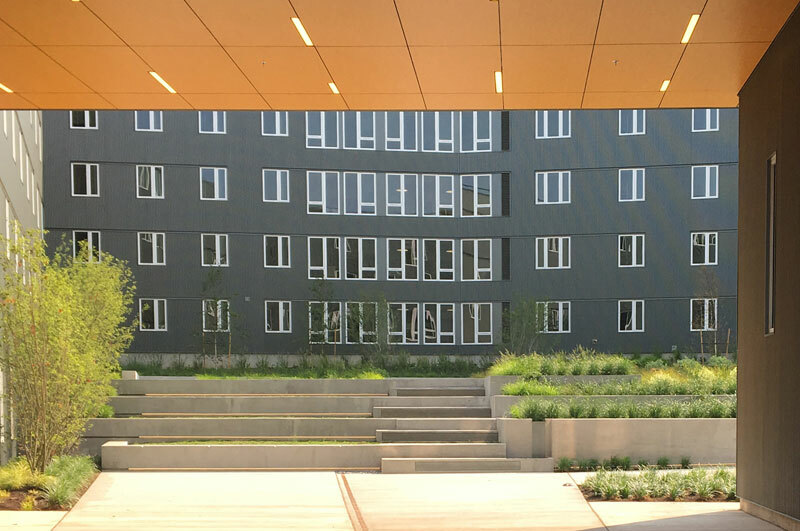 Communita | Atelier worked closely with the College and NAC design team to prioritize low impact development strategies for the site. 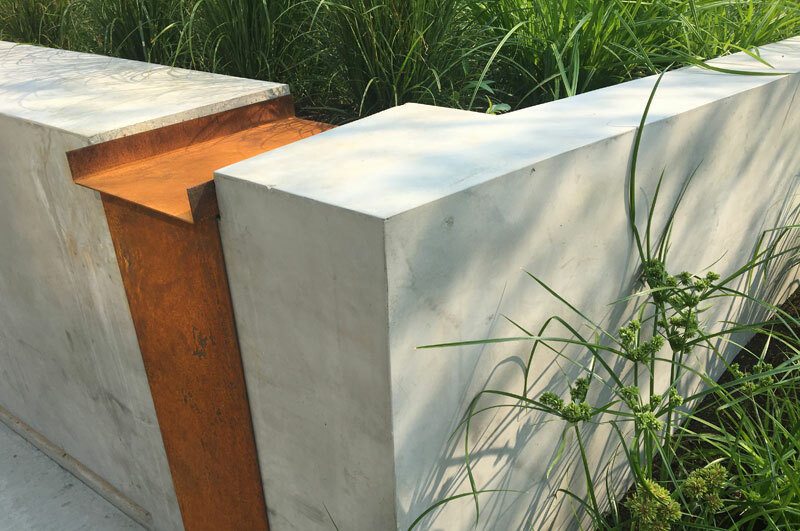 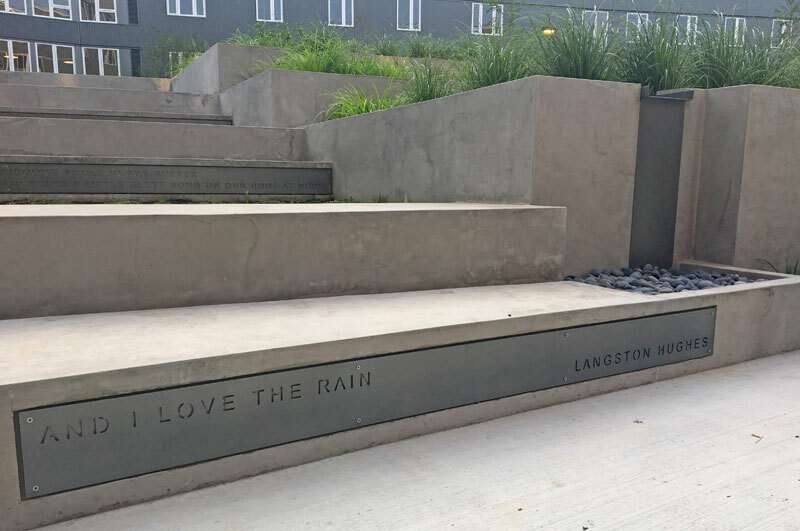 In addition to LEED platinum standards, the landscape design uses drought-tolerant, native and edible plantings, and directs the majority of stormwater run-off toward rain gardens and plant beds. 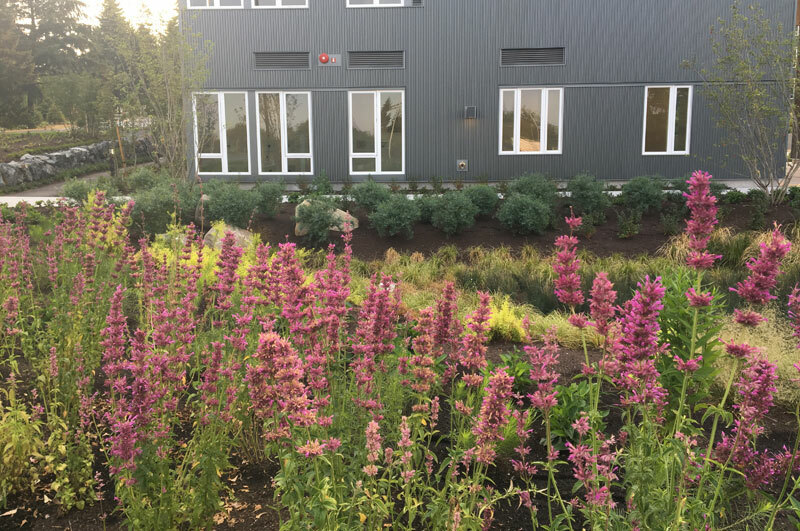 This creates a multitude of learning opportunities for students interested in sustainability and natural sciences, while raising awareness of our everyday impacts on the environment.